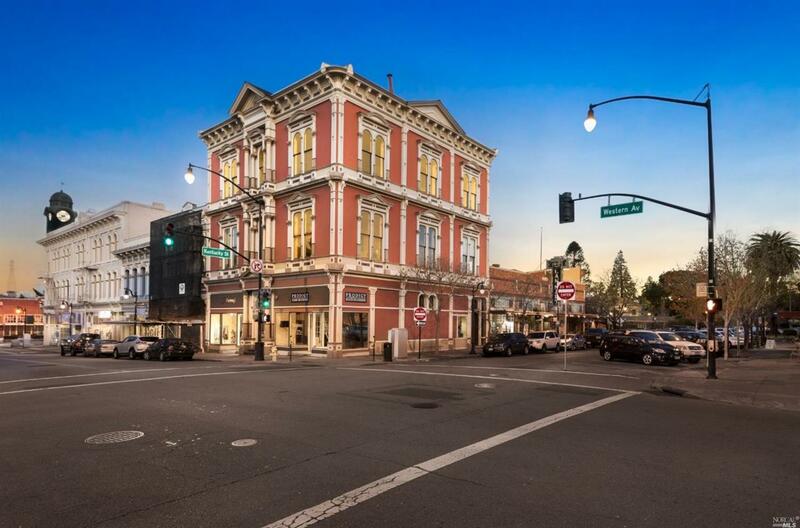 Once in a generation opportunity to own a piece of Petaluma history: the Italianate style Mutual Relief Building on Petaluma's Iron Front Row''. The 1st floor is fully leased to anchor tenants J. Fermi & Prodigy Hairdressing. The 2nd floor is currently leased to residential tenants. The 3rd floor is minimally occupied and ready for value add opportunities. There is also a large partially finished basement, which presents multiple opportunities. Listing courtesy of David Rendino of Re/Max Marketplace.